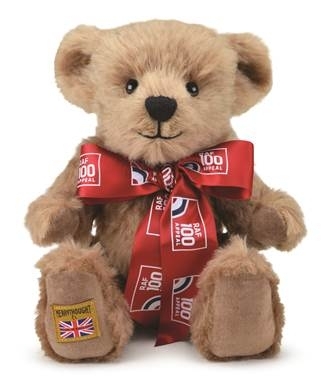 These Military Hero Collectable Soft Toy Teddy Bears are a great way to show your support for the Armed Services. Each bear depicts a service and is wearing a unique handmade uniform, so no two bears are alike. These Military Bears measure approx 14" long with joints and are a great collectable for all British Armed Forces fans.